Broken Mile is the latest thriller to adopt the 'one-take' aesthetic. The freedom afforded by digital filmmaking is leading more and more filmmakers to attempt to pull off telling their film's story in one unbroken take. Last year we had the gripping German thriller Victoria, while we recently brought you news of the Australian movie Watch the Sunset, which likewise adopts the real-time format. Now a Canadian indie has adopted the technique. 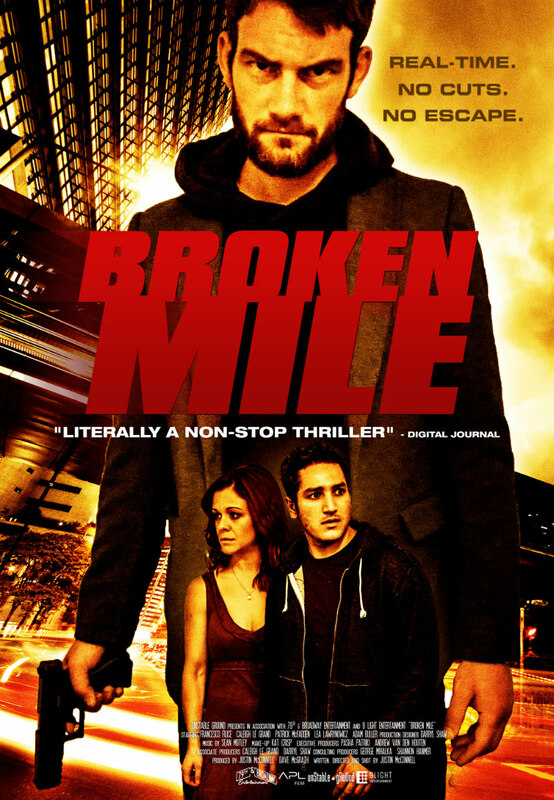 Broken Mile is the story of a drug addict who awakens beside the corpse of a woman and finds himself on the run from a gunman. The movie opens in North American cinemas next month, with a VOD/Digital/DVD and Blu-Ray release August 15th. “Broken Mile,” told in pulse pounding real-time and presented as a single unbroken take, follows a drug-addict (Francesco Filice) who awakens to find the woman he is with dead, and must rush to escape the consequences. Along the way he enlists the help of his strong-willed ex-girlfriend (Caleigh Le Grand), and avoids confrontation with the gun-toting figure chasing him (Patrick McFadden).